Tired of the Politics in Your Country? Quit Complaining and Do Something! I have spent around a third of my life in Argentina, a third in the USA and a third in Spain. While I have friends from all over the world, most of my friends are from these three countries. And there is a very big difference in the tone of their social media commentaries. My American friends talk about their lives in a positive tone and are in love with innovation, with ways of making the world a better place. Occasionally, generally at election time, they speak about politics. My Argentine and Spanish friends, on the other hand, share an obsession with local politics that makes reading most of their social media commentaries tedious and sad. I am so tired of their whining that at this point I am actively looking for ways to filter out of my social media for political commentary. Both countries suffer from similar problems, an inept and corrupt leadership that makes it hard for citizens to move on with their lives. The tone of the commentaries is always something like “I can’t believe that such and such politician would say or do such a crazy wrong thing”. Most of my friends are disgusted by all politicians and complain across party lines. In the case of Argentina there are still a few who love the Kirchner government while most by now hate it. In Spain there is a general sense of embarrassment for all politicians that is more realistic but the conversation about them never ends. There is always some new topic, lately it is the Barcenas corruption scandal. People in Spain and Argentina never seem to come to the conclusion that their political class is just rotten and probably will always be like that, and that they can either emigrate or put up with it. They are like children of divorced parents whose only obsession is for their parents to get together again. And that they never will. But as children of divorced parents can overcome the trauma and thrive, so can citizens of these nations. Argentines, Spanish and citizens of all troubled nations (which all countries are to some extent) should learn to live well in their own countries in spite of their political classes, something that is actually very doable. But in order to do this they have to stop talking, commenting or getting involved in political discussion, and focus that energy instead on their families, friends and especially on their work. I can give you countless examples of Argentines and Spaniards who have done amazing work in spite of the crisis. The most striking example is Amancio Ortega who, working out of a little town in the northeast of Spain, La Coruña, has managed to become the third wealthiest man in the world (net worth estimated at $55 billion ahead of Warren Buffet) building Inditex. On a smaller scale, the same can be said about Marcos Galperin, an entrepreneur who is building Mercado Libre into a multi-billion dollar company from Buenos Aires, or my own company Fon, which we built in Madrid and is now the largest WiFi network in the world. And Spain has many more large and thriving companies that are ignoring the political impasse and moving on. Mango, the fashion retailer, is another example. And in other fields like the arts, movies, architecture, fashion, technology, science, many productive, creative and extremely smart Argentines and Spaniards have decided to focus on their expertise and are managing to thrive in spite of the negativity that surrounds them. So my advice to friends who live in troubled countries is to ignore politics. To stop blaming their environment for their shortcomings and to move ahead in life never even mentioning Kirchner or Rajoy and other political “leaders”. In the meantime as a favor to me, if you know of a way to filter political commentary in Spanish away from my Facebook, Tumblr, Google+, LinkedIn and Twitter do let me know. I just want to know what my friends are up to, or what they are doing. Not what the Spanish and Argentine politicians are up to or doing, because their ability to screw up their countries out of ineptitude and/or greed is endless. Everyone says that Facebook fights privacy because they grow by making you and everyone else, very public. And that part is obvious, if they don’t encourage you to be less private they have no network. But there is a countertrend to that and that is post IPO monetization. Now that Facebook got 1 billion people to share their intimate and mostly irrelevant moments they hope to make money by you being so desperate for the attention that you got used to having that you start paying NOT to be private. In order to achieve this Facebook is now making you less popular, or more private against your will. So the new Facebook, the post IPO “have to meet the next quarter numbers” Facebook, is paradoxically more private, unless you pay of course. But if you don’t pay, less is disclosed about you to others because those who pay increasingly crowd you out. And paradoxically a new privacy will be achieved. I once saw a Steve Martin movie in which he played a character, an American, who while visiting France got stopped by the police together with a woman who was not his wife. Worried that somehow the story would leak to his wife he tells the policeman: Well, you understand, “to cheat is French” but the policeman smartly replies. “Yes sir, to cheat is French, but to get caught is American”. As the whole Armstrong confession happened I remembered this phrase and felt that what’s really embarrassing about the Lance Armstrong investigation is that the US government has been the only one to truly fight in a forceful way by stripping its own national hero of his titles. In the meantime the widespread cheating that has been taking place in the Tour de France for years has gone with lesser punishment to European competitors and that is shameful. 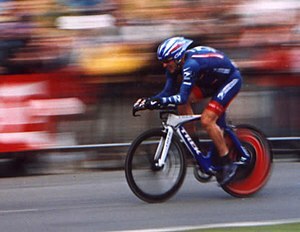 Here’s a Wikipedia article on doping in the Tour de France. I have a hard time imagining European nations going through the trouble that the US government went through to strip their national heros of their cycling titles. Because as you read the history of doping in the Tour de France you conclude that it’s been incredibly common and that as Armstrong cheated and rightly got stripped of his titles many others should have gone through the same level of scrutiny and public outrage. In Spain there is tremendous unemployment right now, it has gone up from 7% to 26%, so when I interview there I find a great deal of people looking for something to do. But surprisingly as I have started interviewing in the USA I find that here also everyone seems to be looking for something to do. But this is not because they are not doing anything, but because Americans are always looking for something better to do. The good news about this behavior is that it makes for a more efficient labor market. The bad news is that it also accounts for a lot of unhappiness, both at work and in other realms of life. People here wonder not only if they could have a better job but also if they could be eating at a better restaurant, or hanging out with better people, or having a better boyfriend/girlfriend, or a better spouse, or sadly sometimes even better children. The grass is always greener takes a new dimension in the USA. Americans think that Europeans are laid back but having lived as much time in Europe as in America I can also say that sometimes it is good to be content. The American quest for excellence, for self improvement, for always wanting to do better or having something better to do, can take a high emotional toll. Change is good, improvement is good, competition is good, but being happy with what you have is better. In Europe, whether you fly privately or commercial, there is no WiFi on the plane. In the USA there is always WiFi on the plane. It is not a luxury. Pay $7 and you are connected. Ok, clearly I am a fan of WiFi and work at Fon, building the largest WiFi network in the world. Hence what I am going to say may sound like self promotion. But what saves me here is that Fon has nothing to do with providing WiFi on aircrafts and I have nothing to do with Gogo WiFi. So I can say it. Gogo WiFi is a revelation. It makes flying something more humane, less of a trauma. And it is not that I am afraid of flying. I am a pilot, but because I am a pilot I know that a plane is much safer if and when it has Internet. One thing is a pilot with a radar, another thing is a pilot with a radar and weather information as to what is behind the CBs that appear on the radar. Or think of that Air France plane that fell in the middle of the Atlantic Ocean, had no internet and they could not know where it had fallen not even within a 500 mile accuracy. So not only is flying safer when everyone is connected (9/11 could have been possibly or partly prevented) but it is much nicer! Now can anyone please tell me when Europe will have WiFi on all flights? Or other continents? We have a car in NYC and one in Miami. But it is useless to have a car in Manhattan this time of the year and very useful to have 2 in Miami. So we decided to bring the Q7 to Miami and I had this crazy idea to ask somebody to do it over social media. I posted it on Twitter and Facebook, said that if anyone wanted to drive our car we would pay for gas and $250. This was intended for somebody who wanted to enjoy driving down the East Coast and get to know this part of America. I told them they could take up to a week although the trip itself according to Google Maps is 19 hours of driving. Friends told me that I could get a crook or somebody who could destroy our car but I thought it highly unlikely. And it totally worked! Many people volunteered and I chose this computer programmer who inspired confidence in me over email and via his LinkedIn profile. It all went great and the car just made it to our garage in Miami. It is not that we saved much money, there are professional services that do this work, ship your car on a train or truck. But I like the sharing economy. That’s what Fon is. For Randall who brought the car it was a great trip he said. He stopped along the way to visit friends and relatives. He loved the Q7. And for us it was so much easier than dealing with a company, filling out the paperwork and legal stuff that normally accompanies all these things. Pick up, drop off. Is there a business here of moving cars instead of renting cars for those who want to drop a car far from where they rented it? For car rental companies it’s all about drop off charges. Maybe that’s the next, albeit smaller AirBnB, or ZipCar. After writing this post I came across Spanish company Amovens, founded by Diego Hidalgo, what they do is not exactly shipping your cars through social means but car pooling. Also Socialcar which is like a car rental company among individuals.